Prom season is officially here. By now, you should’ve found the perfect dress (and matching shoes) and locked down a date. All that’s left to do is show up to the dance, right? Wrong. There are just two more steps to complete your look: hair and makeup! 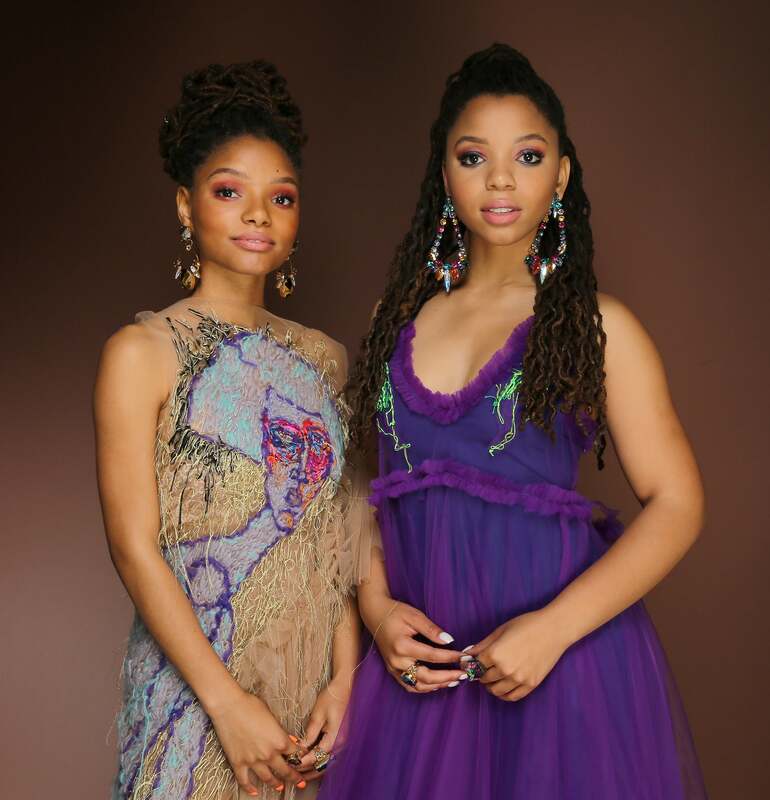 Your hair and makeup are just as important as your dress, which is why you should start planning how to coordinate shades and hairstyles to complement your formal look. 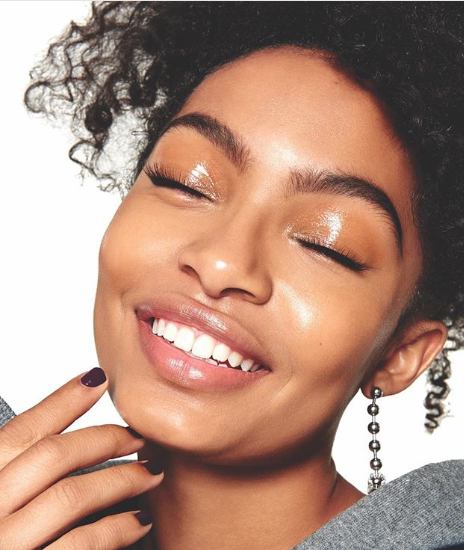 Luckily, we’ve done the hard work for you by narrowing down the best trends for the season that will have you looking flawless on prom night. Thought this style only worked to protect your precious curls overnight? Think again. 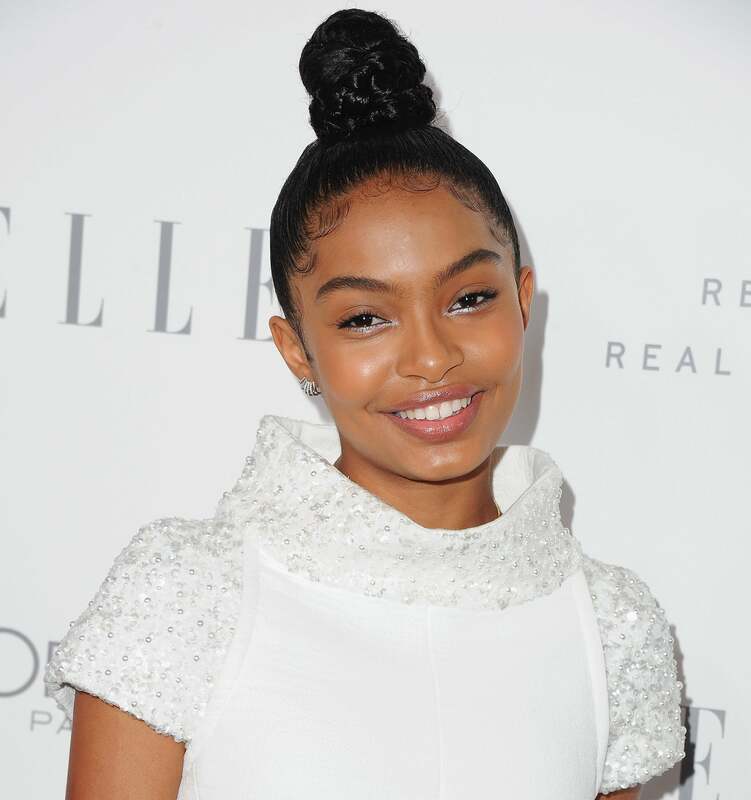 More and more naturalistas are wearing their cascading coils in a pineapple-shaped updo while they’re out and about. This style would show off your jewelry and the neckline of your prom dress. 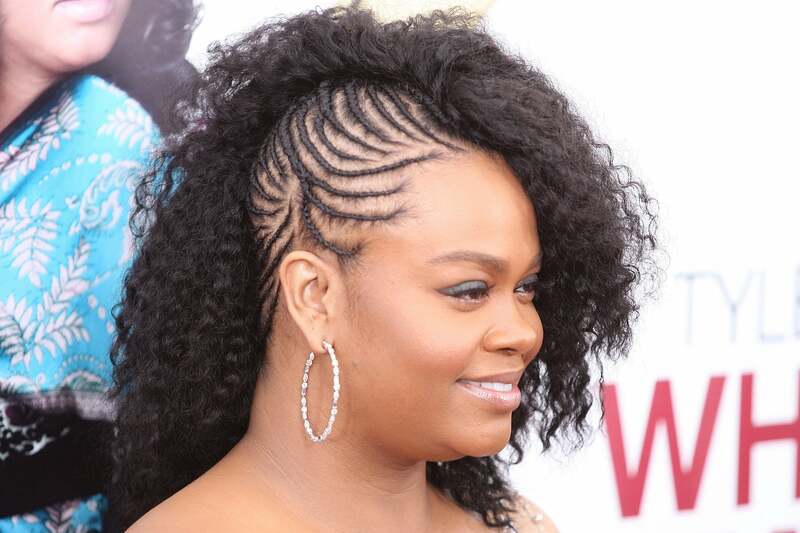 With this style, you can experience the best of both worlds—cornrows and curly hair. It’s time to put away the dark-colored lipstick and break out the bold orange, pink and fuschia lip shades for spring. If your dress is neutral or dark, this will give your pout just the right amount of shock color. 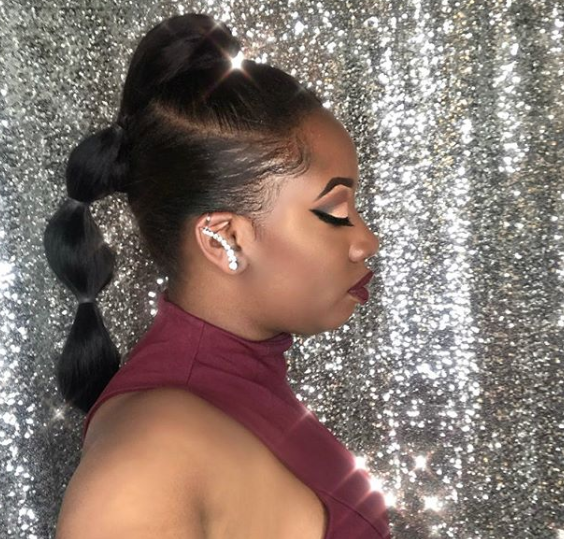 This braid style is super simple to recreate at home, and we love how it looks messy and slightly undone on purpose to pair with your formal gown. Two-tone lip shades are back and brighter than ever. Give your bun a little edge by wrapping a few braids around the base of the top knot. A heavy smokey eye isn’t flattering on everyone, but a more natural look will give you the same dramatic and sultry results without making your lids look too dark and droopy in your prom photos. A chignon is a timeless and chic style. 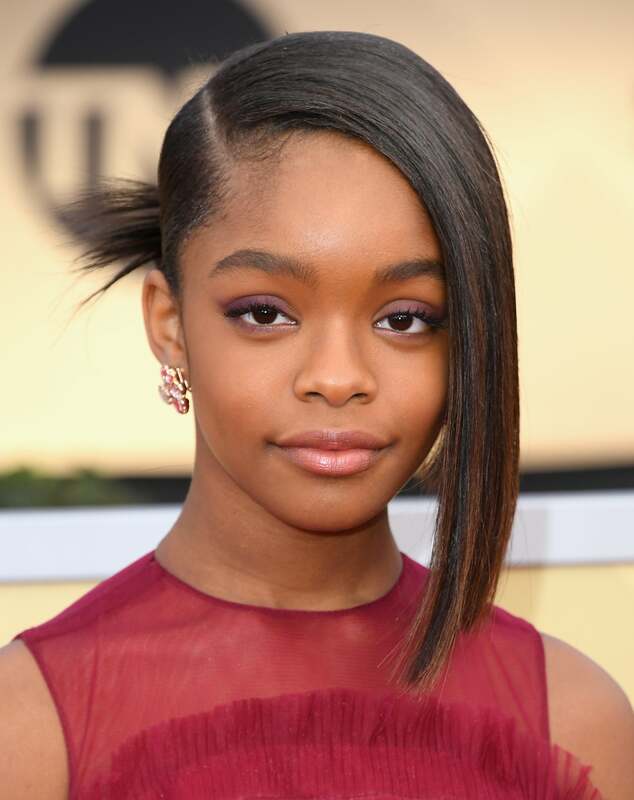 But, when styled like Marsai Martin’s hair, you get the best of both worlds: a classic bun and a razor-edge cut lob. Pale pink lip gloss or a dusty-rose lip stain will give you a little bit of color without taking too much attention away from your dress. If you’ve previously ignored the brighter end of your eyeshadow palette, now’s the time to have a little fun by washing a bold spring-inspired color on your eyelids. Not into sparkly headbands and tiaras? 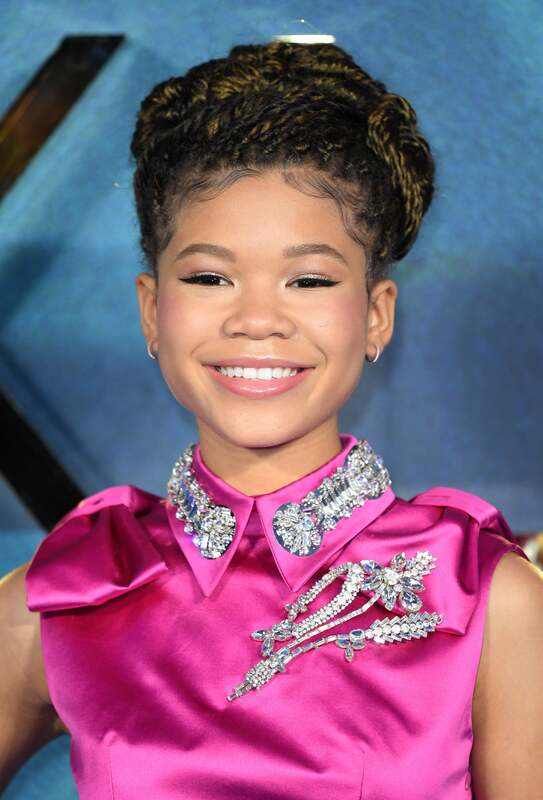 Try wearing unexpected hair accessories that will elevate your hairstyle and dress, like these tiny gold flowers Zendaya rocked in her fancy top knot. 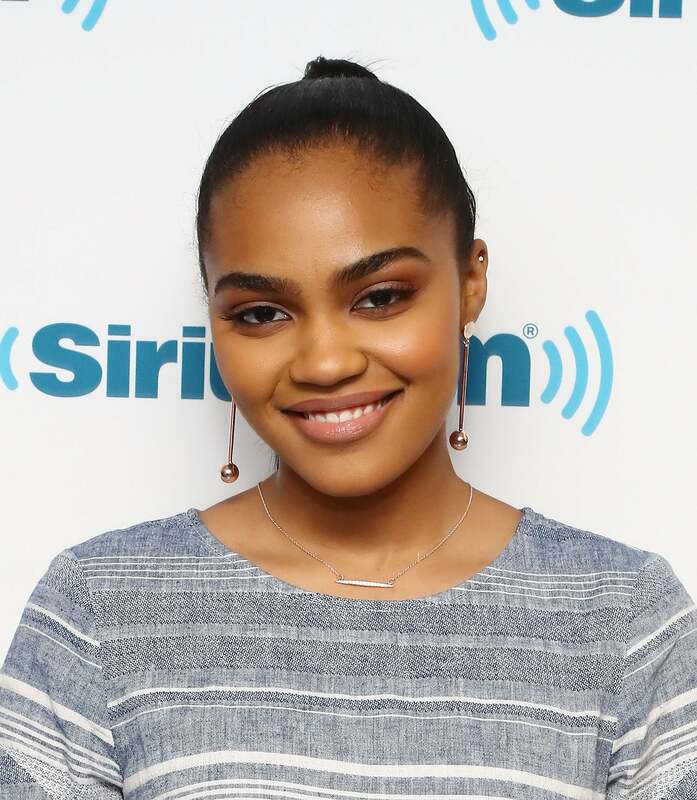 Wave goodbye to basic ponytails with this double-bound style. Simply tie the bands in different places down the ponytail to create a bubble effect. Speaking of stepping straight out of the shower, the faux wet-hair trend lives on with slicked-back styles and tousled waves. Want to achieve that dewy, just stepped straight out of the shower look? Swipe some clear or peachy-colored gloss on your lips and lids for a dewy finish. What’s better than one bun? Two. 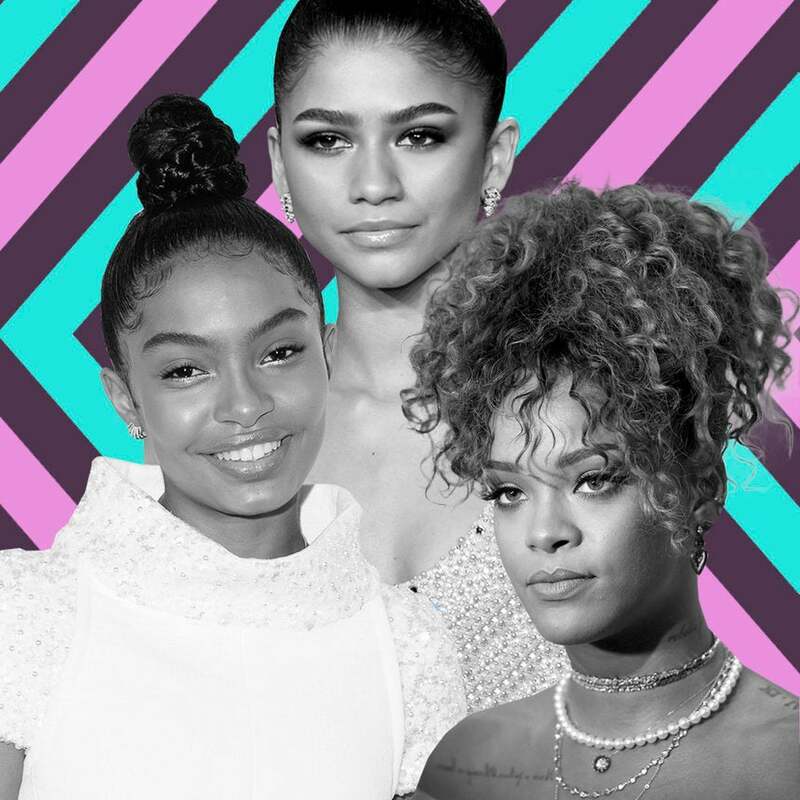 This childhood hairstyle is back with a grown-up update. 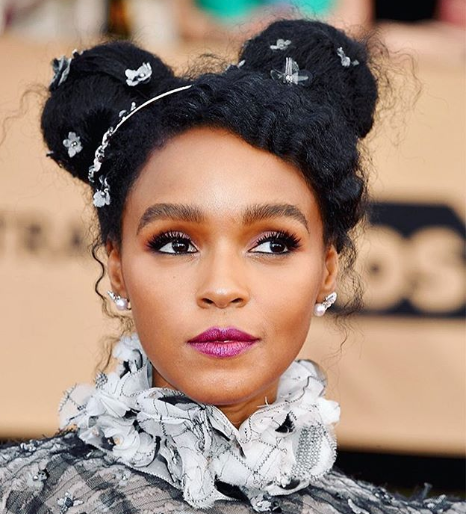 Whether you wear the buns up and your hair hanging down in the back or all up like Janelle Monae, you’re guaranteed to be the belle of the ball.